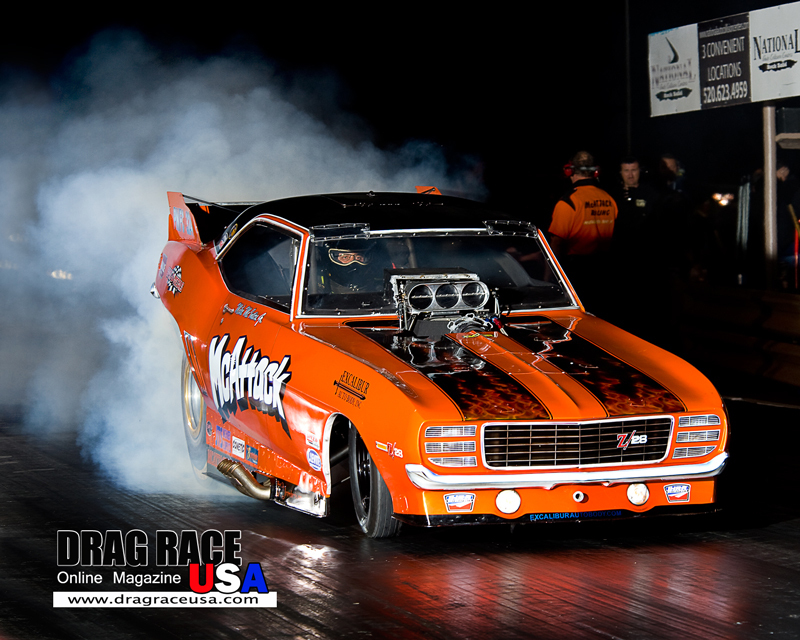 DETROIT (Feb. 24, 2016) – Chevrolet heads to Wild Horse Pass Motorsports Park this weekend for the CARQUEST Auto Parts NHRA Nationals seeking to continue the momentum gained in the season-opening National Hot Rod Association (NHRA) Mello Yello Drag Racing Series event. Chevrolet amassed 22 Pro Stock class victories in 2015 on the way to earning the NHRA Manufacturer Cup for the 21st time, and is off to a fast start in 2016. Two weeks ago at Auto Club Raceway in Pomona, California, the Chevrolet Camaro SS was the class of the Pro Stock division. An all-Chevrolet semifinals pitted Jason Line (Summit Racing Equipment Chevrolet Camaro SS) against Bo Butner (Butner Auto Sales Chevrolet Camaro SS) in the first semifinal and Greg Anderson (Summit Racing Equipment Chevrolet Camaro SS) against Drew Skillman (Ray Skillman Chevrolet Camaro SS) in the second semi. Anderson and Line, who are KB Racing teammates, advanced to face off in the final for the 25th time. Anderson, the No. 1 qualifier, won on a holeshot for his 79th career Pro Stock victory and seventh in the final round on a holeshot. Anderson, who was runner-up in the 2015 Pro Stock championship, claimed the early points lead in the class marked this season by a new technical package. Line, who won the Winternationals in 2015 and ’14, is second in the standings (20 points back) following his 42nd career runner-up finish. Skillman, a second-year Pro Stock driver who fell to Line in the final at Pomona the previous February, also will seek to maintain momentum this weekend. He qualified third and lost in the semifinals last year at Wild Horse Pass. There are nine Chevrolet Camaro SS Pro Stock cars entered for the 32nd CARQUEST Auto Parts NHRA Nationals. 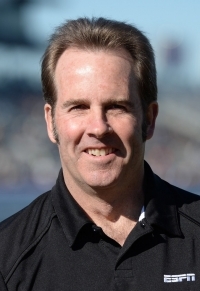 Shane Gray (Valvoline/Nova Services Chevrolet Camaro SS), who is seventh in the standings, has elected to skip this weekend’s event to further tune the car for the third round of the Mello Yello NHRA Drag Racing Series in mid-March. Also quick off the line has been the John Force Racing Funny Car trio of John Force (PEAK/Republic Services Chevrolet Camaro SS), Robert Hight (Auto Club Chevrolet Camaro SS), and Courtney Force (Traxxas Chevrolet Camaro SS). John Force and Hight advanced to the semifinals at Pomona – the 11th consecutive year that the team has placed at least one car in the Winternationals semis – and Courtney Force recorded the fastest speed (329.34 mph) and career-best ET (3.925 seconds) of the final day. The contingent had a successful preseason test at Wild Horse Pass Motorsports Park, claiming seven of the 10 quickest runs of the final day. John Force, a 16-time national champion, has a record eight Funny Car victories at the venue. In Top Fuel, Brittany Force (Monster Energy Chevrolet) displayed promise for a successful season with the addition of Alan Johnson as tuning consultant. In the preseason test at Wild Horse Pass, Force posted the fastest run of the final day of 3.721 and 319.07. In addition, three Chevrolet COPO Camaro drivers ae part of the Stock Eliminator and Super Stock classes this weekend. Dan Fletcher (PEAK/K&N/ATI Chevrolet COPO Camaro) won the Stock Eliminator class at the Winternationals. Chevrolet also will welcome fans to its Chevrolet Performance Display during the weekend. It will include a number of Chevrolet’s award-winning production vehicles, examples of Chevrolet engines, and a selection of performance parts and accessories that are available for fans to purchase from their local Chevrolet dealer. FS1 will telecast eliminations and finals live at 5 p.m. ET Sunday. Qualifying coverage will air on FS1 via tape delay at 10 p.m. ET Saturday.